MITRE has developed a new IT architecture that enables the healthcare community to easily and securely share clinical analytics for application on diverse data sources. The goal is to solve problems and improve healthcare across the nation and the world using state of-the-art technologies and techniques. This architecture supports a range of studies that could benefit patients, industry, healthcare systems, clinicians, and government organizations. CASAE is cutting edge because it takes proven technologies for high-assurance analysis and applies them to healthcare. Our solution differs from existing approaches because it provides a functional capability to share analytics as opposed to a place to deposit and then share them. With CASAE, the data stays where it is—in a hospital tablet or a doctor's phone—and our system sends an algorithm to the information and does a complex analysis on it in place. Creates capacity for multiple distributed networks to work in an integrated fashion without moving data from original sources, which retains privacy. Our goal is to support health organizations such as the Department of Defense, Veterans Affairs, National Institutes of Health (NIH), the Food and Drug Administration, as well as the National Science Foundation in advancing clinical analytic projection technologies. This research has enabled MITRE and our partners, including the University of Virginia (UVA), to participate in sponsor-funded efforts to explore novel clinical approaches that bring trusted automated analysis close to the patient while leaving the data within the most useful clinical context of the provider. Medical specialists and other collaborators can consult both securely and remotely on the patient data. We have begun installing CASAE around the country in hospitals that want to experiment with the system. This will allow us to test the analytics on more patients from various regions which will increase the diversity of our findings. Through NIH, MITRE and our partners are piloting CASAE in support of Pre-Vent, the first multi-center shared analytic study in the nation. 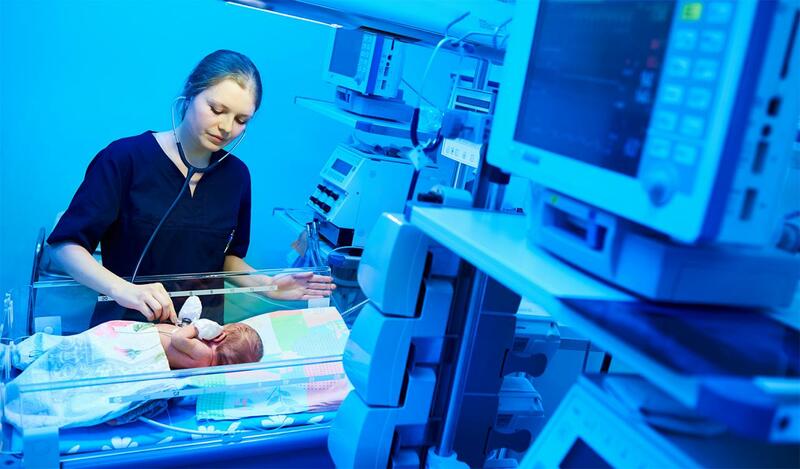 Under Pre-Vent, clinicians and researchers from multiple neo-natal intensive care units around the country are developing predictive analytics for early detection of apnea and other respiratory diseases in premature infants. CASAE will enable the medical researchers to remotely deploy and test predictive algorithms against the patient data sets at each of the participating institutions across the nation. We can do this without moving any data from its location, ensuring the security and privacy of the data. CASAE's ability to remotely run algorithms against information within protected health information data sources, without a centralized data repository, promises to accelerate discovery and innovation for diverse distributed data systems in healthcare. There are many other ways to apply CASAE. For example, we’re assessing its usefulness in the regulatory oversight of medical devices and assurance/control for clinical sites. This involves creating "virtual registries" that may also facilitate additional research on comparative effectiveness, medical product development, and improving healthcare delivery. MITRE is holding "clinics" to showcase the potential of shared analytics. At the clinics, participants receive hands-on experience using CASAE to solve specific real-world problems. For example, in June 2017, we brought together representatives from government and the medical community to share and analyze data that focused apnea among newborns. Using CASAE, the group explored theories about patterns of illness, which will be included in an NIH study on this topic (Pre-Vent). The next clinic is planned for January 31—February 1, 2018. If you have questions or if you’re interested in attending, please contact Cj Rieser, PhD, crieser@mitre.org. CASAE enables efficient human-centered analytic process flows while providing such functionalities as computational phenotyping, regression, and tracking cases over time across data sources. The system prevents sensitive data exfiltration or malicious use of the technology. To do this it vets analytic purpose, code, and results via governance and human evaluation for conformance to security and privacy requirements. In the future, we will incorporate automated processes to enable efficiency without sacrificing security. Sensitive data remains safely behind the firewall at the remote site. Instead of moving the data from the owning organization, analytics are used to transfer answers to specific questions from the de-identified data stores. There is no need to move data or maintain repositories of extremely large data sets (e.g., waveforms or digital images) for direct access by analysts. CASAE encrypts all user information, analytics, analytic parameters, and analytic results that more electronically between sites. This ensures all information is secured throughout the entire transfer of information. To enable portability and conformity to varied enterprise security requirements, we are evaluating multiple transport mechanisms.